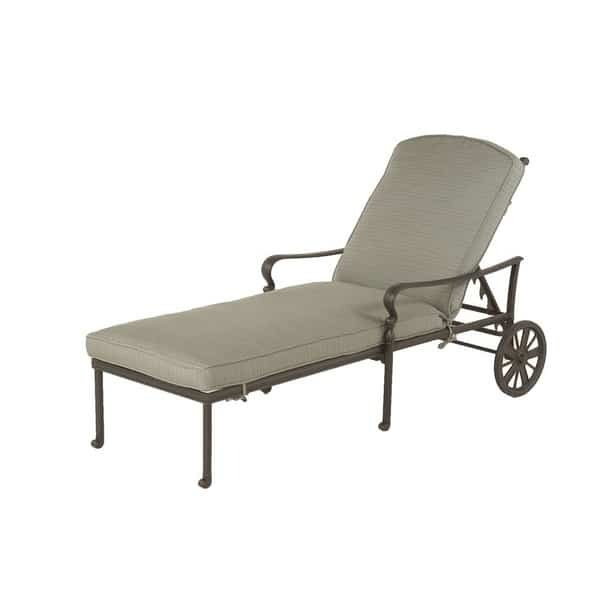 Perfect for the corner of a sunroom or lined up in a row outside next to the swimming pool, the Berkshire Patio Chaise Lounge offers indoor coziness and value with outdoor utility and durability. Guests will love the adjustable back and comfortable Sunbrella cushions, while homeowners will love the wheels and mobility of this chaise lounge. Hanamint is known for their superior designs, and this excellent chaise is no exception, with a crisscross hatch pattern in the backrest combined with petite scrolls, spherical turnings and other traditional furniture elements. Created to be left outside without fear, not only does the Desert Bronze finish look spectacular, but it provides a protective coat against bad weather.